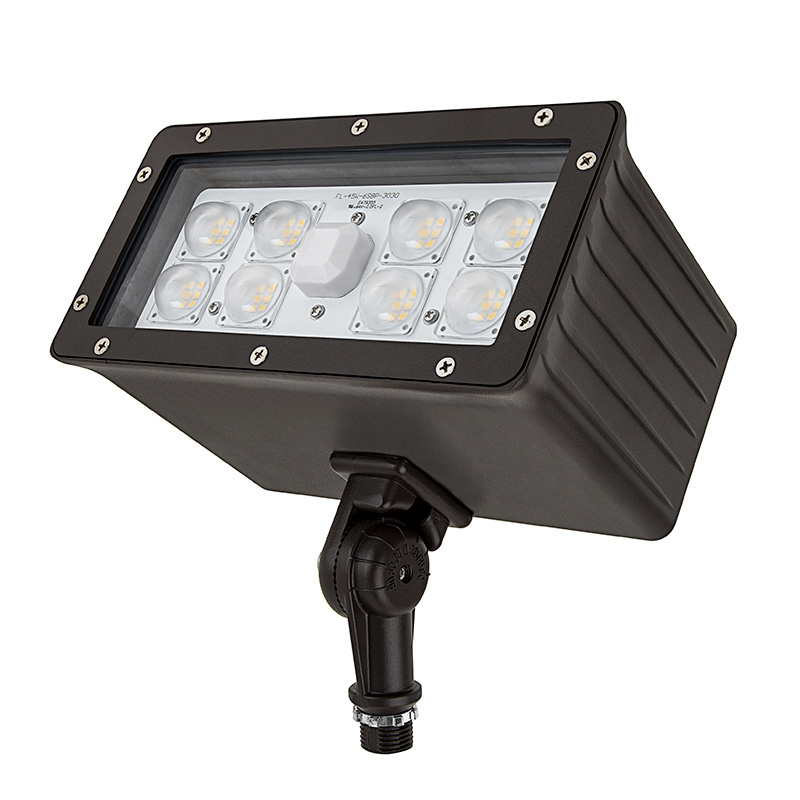 45 Watt Knuckle-Mount LED Flood Light - 4,600 Lumens: Showing Beam Pattern From Approximately 5'. 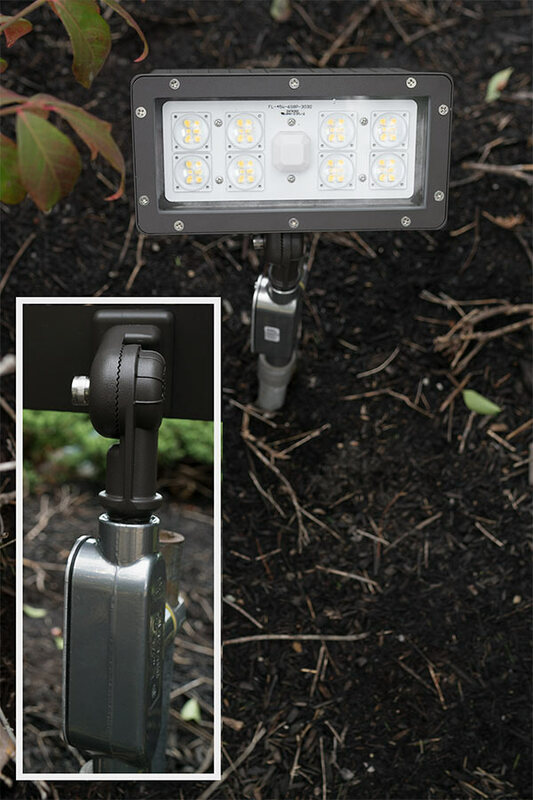 45 Watt Knuckle-Mount LED Flood Light - 4,600 Lumens: Shown Lighting Sign From Approximately 5'. 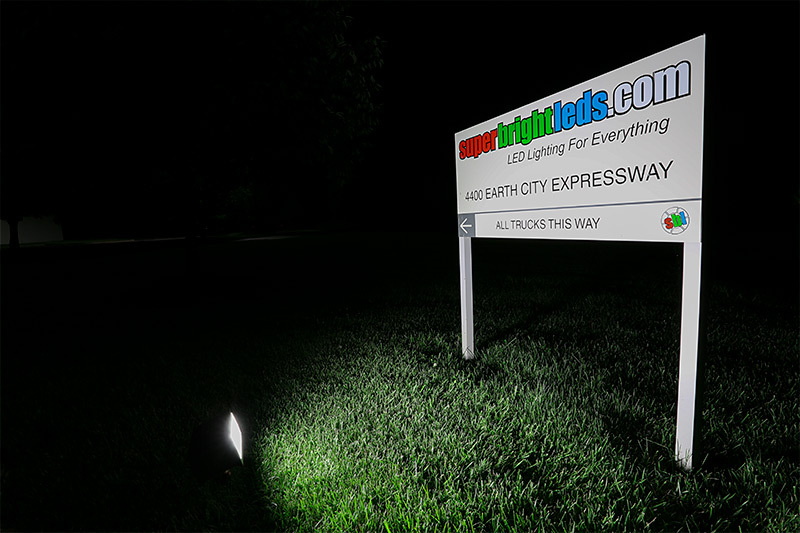 45 Watt Knuckle-Mount LED Flood Light - 4,600 Lumens: Shown Illuminating Sign From Approximately 8 Feet. 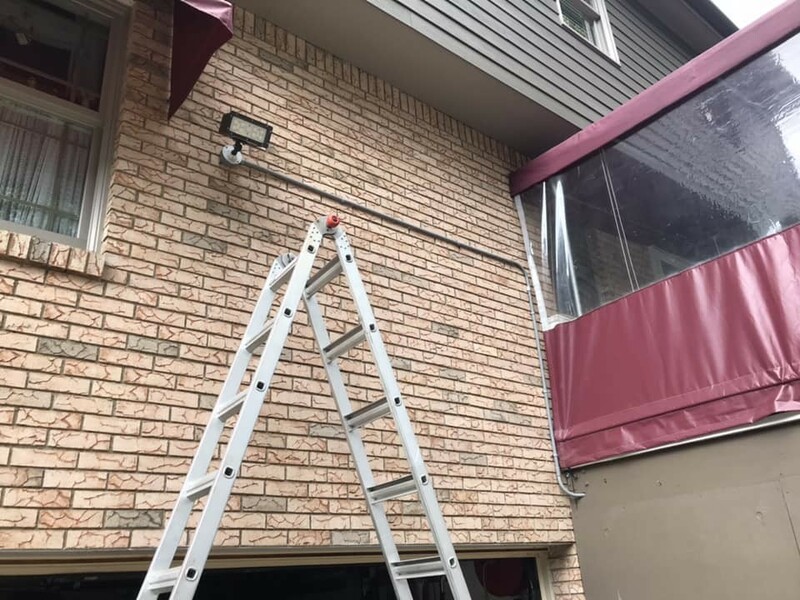 45 Watt Knuckle-Mount LED Flood Light - 4,600 Lumens: Shown Installed On Outdoor J-Box. 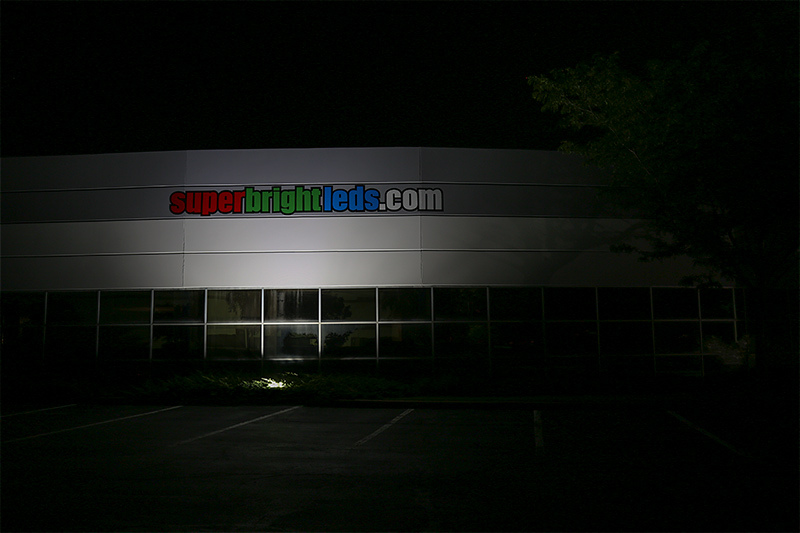 45 Watt Knuckle-Mount LED Flood Light - 4,600 Lumens: Shown Illuminating Building Sign From Approximately 15'. 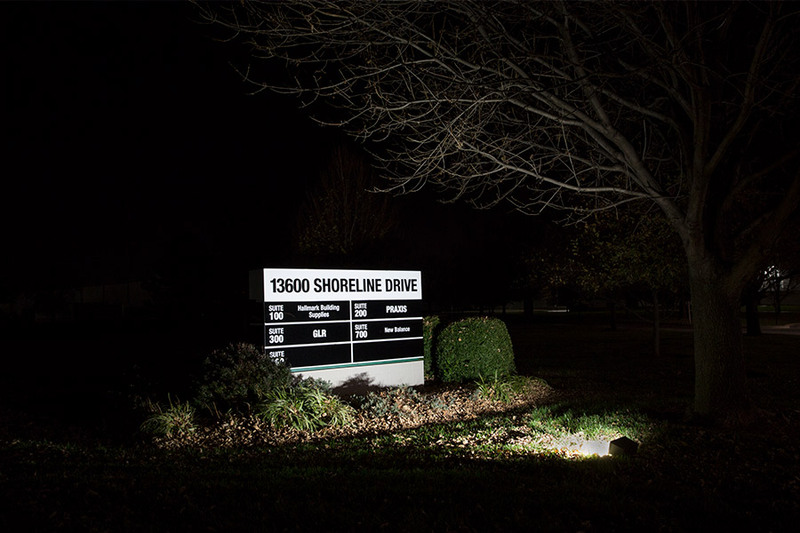 Knuckle-mount LED flood lights emit a wide, focused 80° beam of light for subdivision and business signs, outdoor displays, billboards, and more. 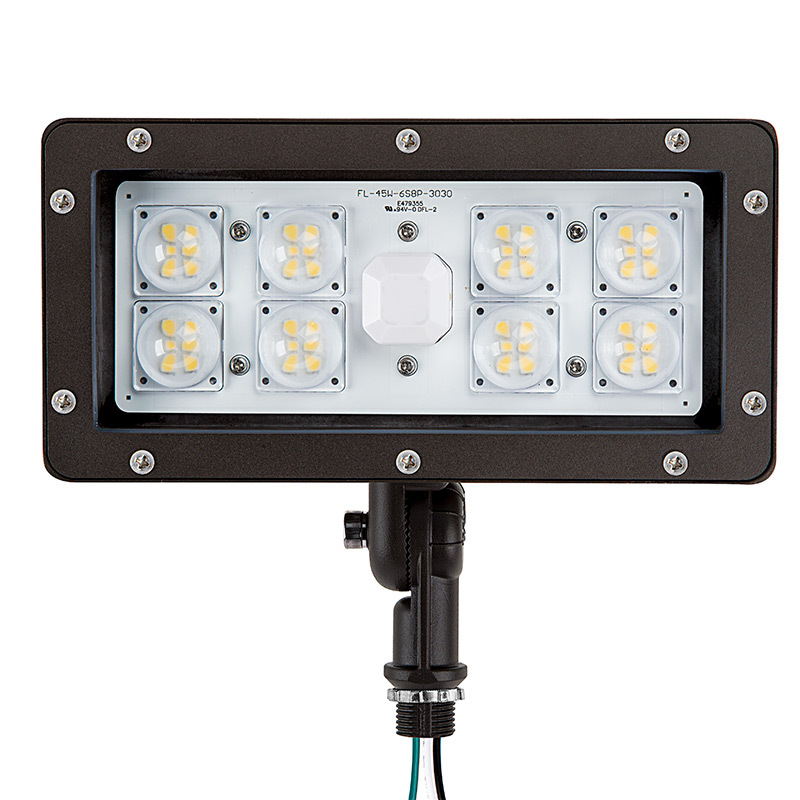 Consuming only 45 watts of power, this energy-efficient LED fixture replaces 100-watt metal-halide (MH) lights with comparable output. 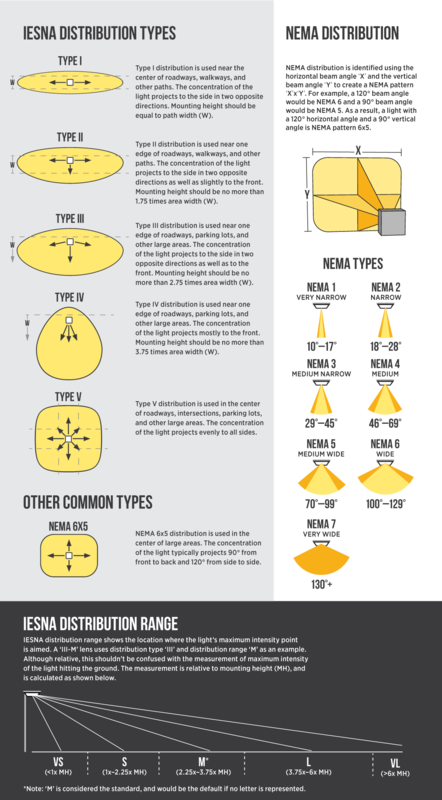 Powerful LEDs emit 4,600 lumens of cool or natural white light through individual projector lenses. 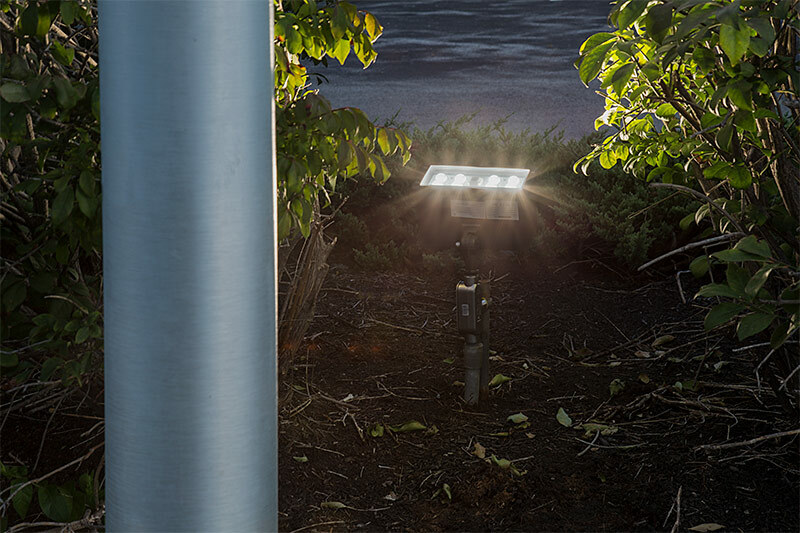 This weatherproof LED flood light is constructed of dark bronze die cast aluminum with a polycarbonate outer lens. 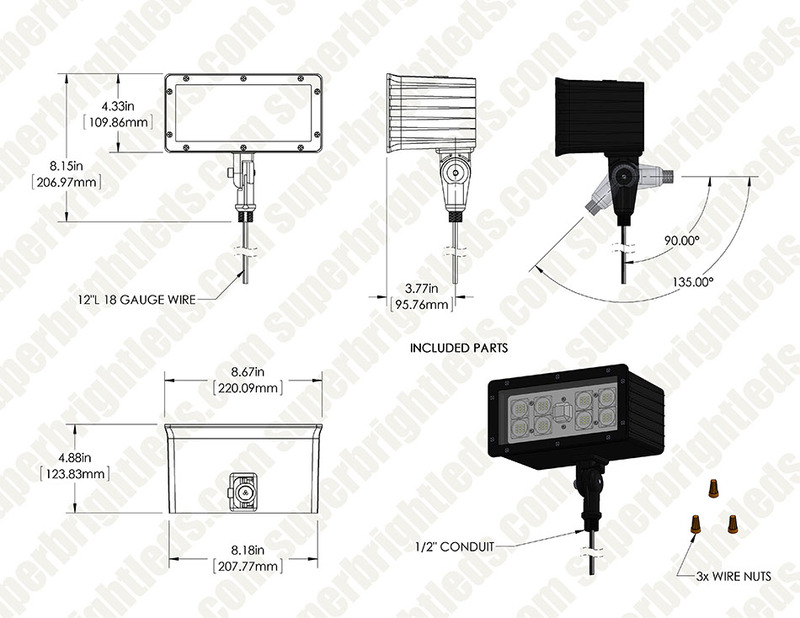 It has an adjustable knuckle-mount bracket for light where it's needed. 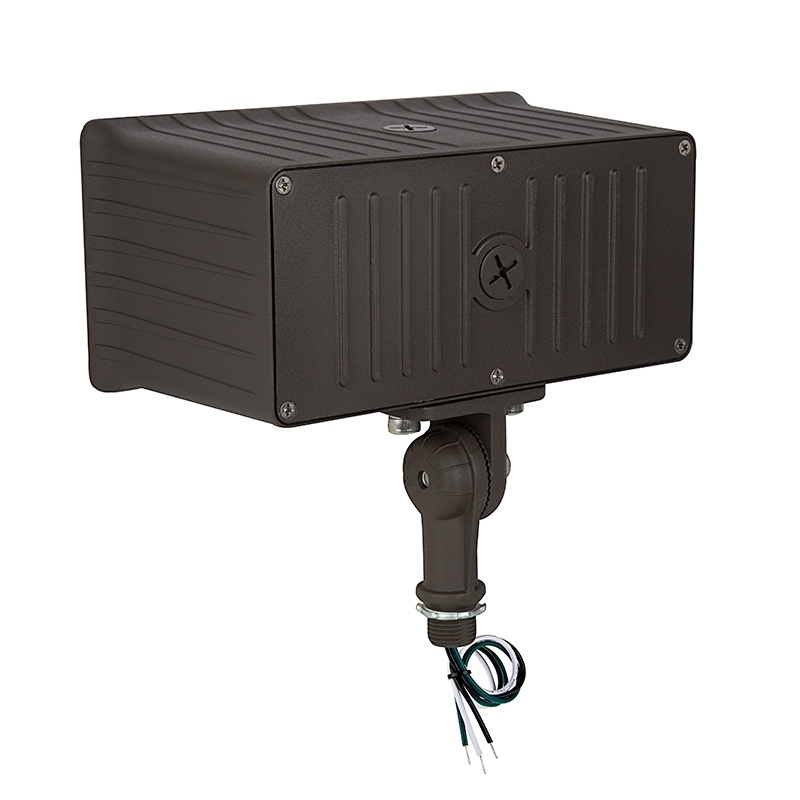 Easily install the light in outdoor junction boxes that have 1/2" threaded hubs. See similar 70-watt version. 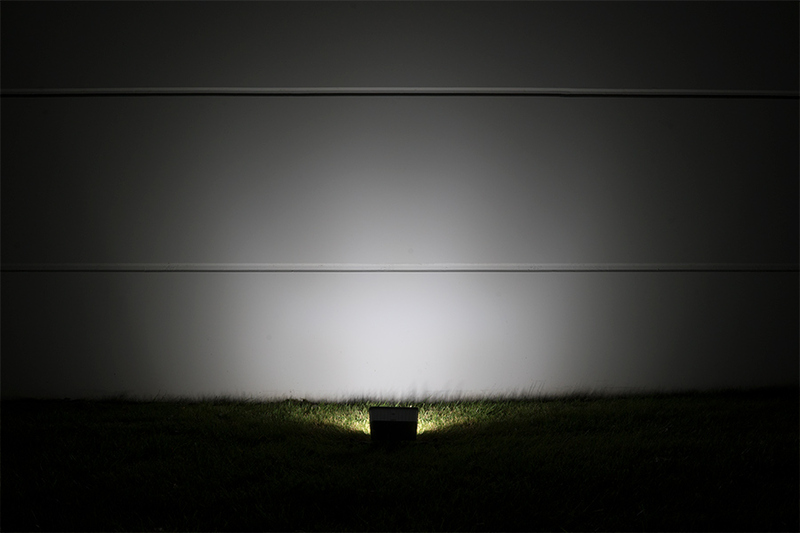 Bought 2 of these to replace 500w quartz lights in my backyard, I got tired of changing bulbs. 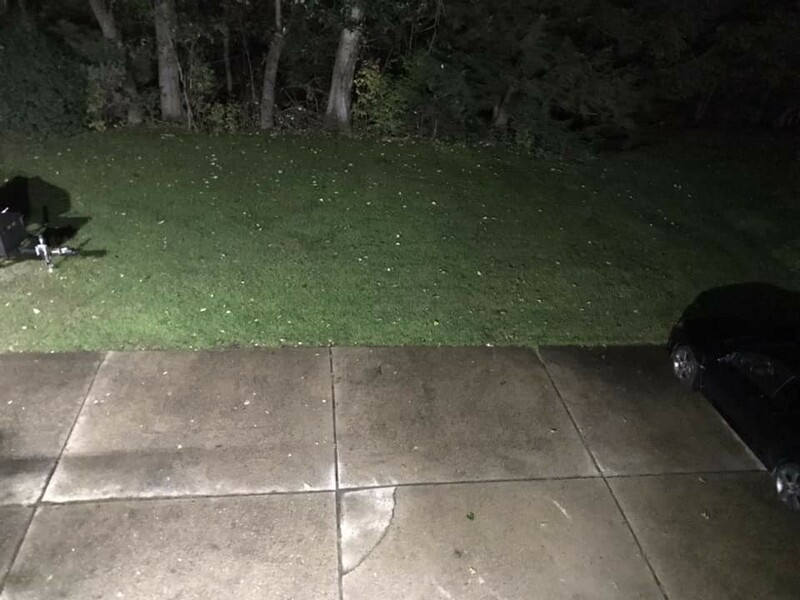 I had to mount them higher to get the full lighting effect, but they illuminate the backyard better than the halogen. I was contracted to light up the steeple for a small church. 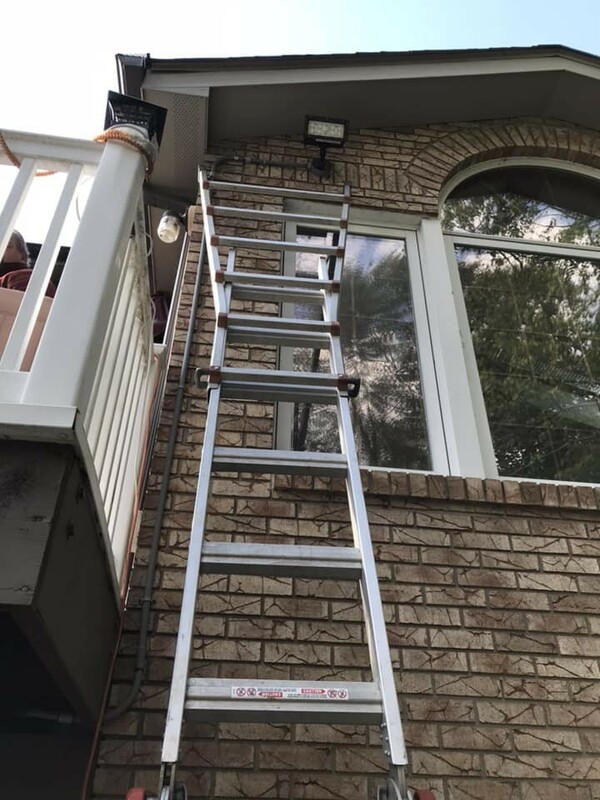 They specifically wanted an LED light. 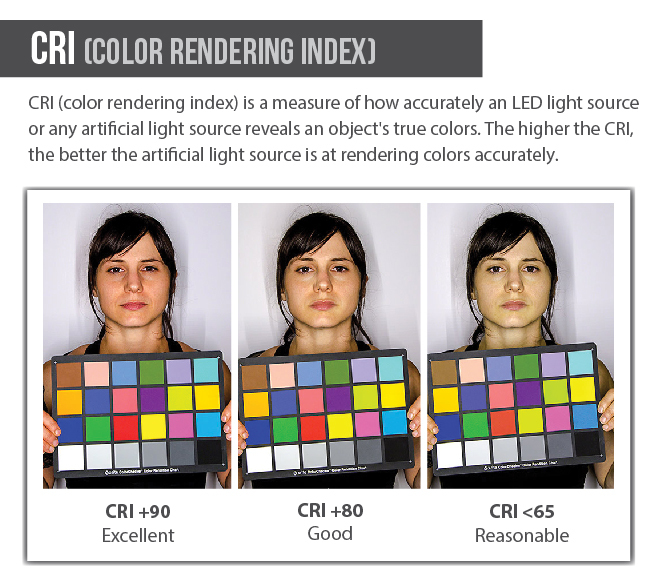 After considerable research, I chose this light from Super Bright LEDs. I was very pleased with it. It is very bright and lights up the steeple very well. I dropped in at the church last night as the congregation was leaving and they are very pleased with it as well. Great product. Very bright and well built.